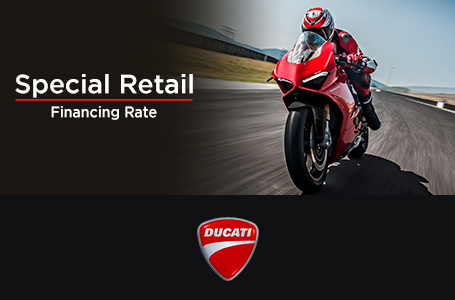 The wild side of Ducati: Redefine the concept of adventure through a concept of excellence in performance and technology. 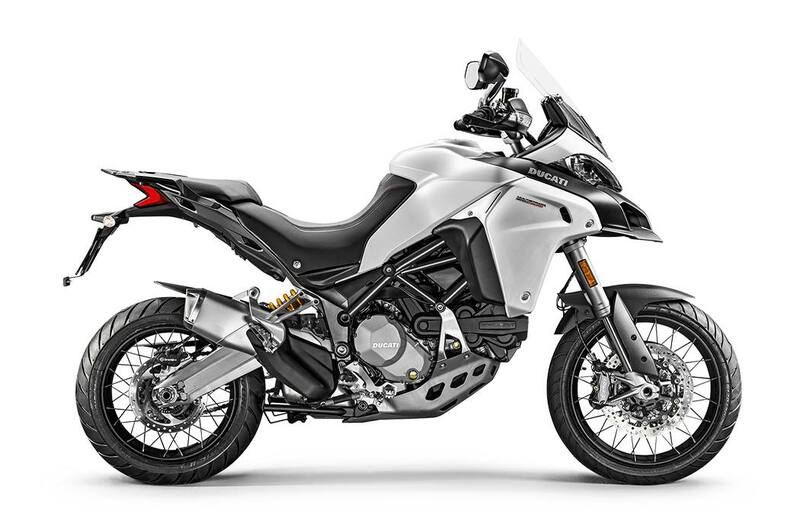 The Multistrada 1200 Enduro expands your travelling range: Ducati Testastretta DVT engine, 152 hp, 30-litre tank, front 19” rim, spoked wheels and 200 mm travel wheel. You can live the Ducati technology, performance and comfort at any distance and under any condition for an adventure without limits. 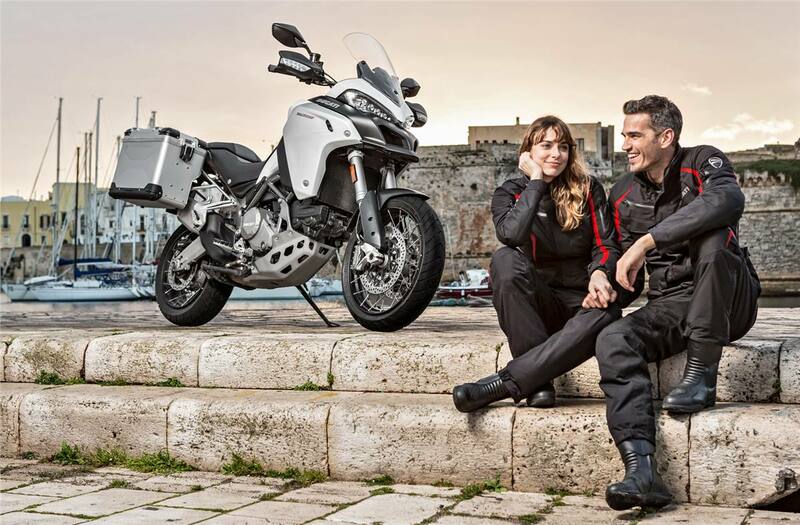 Adventure soul: The first Ducati created to take you anywhere. 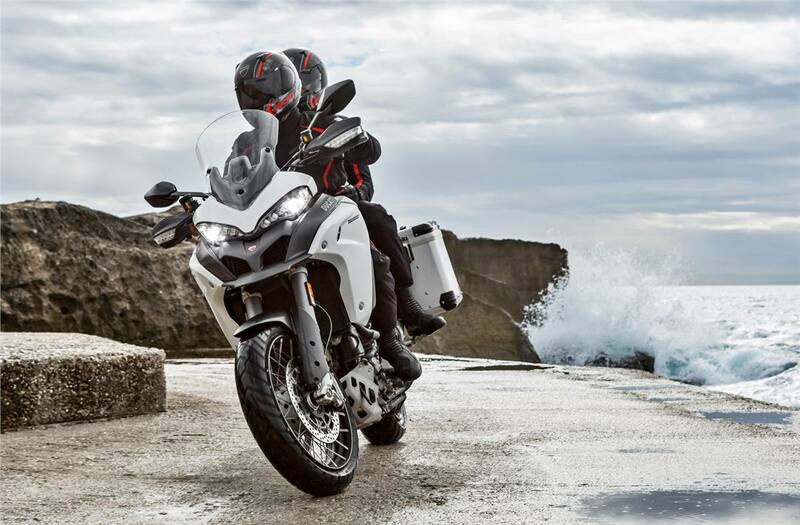 Born to travel and to be unstoppable on any type of terrain, the Multistrada 1200 Enduro is able to withstand the stress of off-road riding, but also to take you on any road you want. A real globetrotter, just like you. The best of Ducati technology: The Multistrada 1200 Enduro is equipped with all the Ducati technology you can imagine. Cornering ABS controls braking by maximising active safety even when the motorcycle is leaning into curves. The Ducati Traction Control modulates the slide of the rear wheel. But that's not all: Ride By Wire, Ducati Wheelie Control, semi-active Ducati Skyhook Suspensions (DSS) Evolution. And attention was also paid to comfort: Cruise Control, Hands-Free startup and backlit handlebar switches make the riding experience much more enjoyable. Travel without: The constant investment in quality guaranteed by the design, advanced materials and engineering has made it possible to modify the maintenance programme in a highly competitive manner, extending regular maintenance intervals to 15,000 km or one year and the valve clearance check at 30,000 km, with a great benefit for customers. This was possible thanks to the use of special materials for valve seats, improved combustion efficiency and the containment of the Testastretta DVT engine operating temperatures. Additionally, the innovative DVT system does not complicate the work of valve clearance adjustment. Off-road inspired cases: The bags on the Multistrada 1200 Enduro mean you never have to leave anything behind: the right side bag offers 40 litres of space, the left bag 45 litres, while the rear case is 38lt. The passenger grab handle and the bags are designed to strike the right balance between space and the overall width of the bike.